The foamed rubber products produced by EPDM reclaimed rubber, such as foam sealing strip, are resistant to high and low temperature, anti-aging, low product price, good sealing effect and long service life; among them, the foaming effect of EPDM reclaimed rubber and the quality of foamed products There is a direct relationship, the variety and dosage of rubber fillers are an important factor affecting the foaming of EPDM reclaimed rubber. Then, which filler should be used when producing foamed rubber products using EPDM? Foam sponge rubber products have the following requirements for rubber fillers: small density, good dispersibility, no hardening of the rubber compound, and the plasticity and fluidity of the rubber compound can be adjusted during actual use. The foaming process is advantageous and does not affect the decomposition temperature and decomposition rate of the blowing agent. 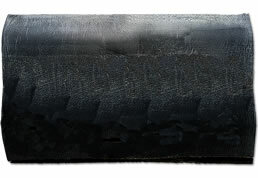 When using EPDM reclaimed rubber to produce foamed rubber products, whether the rubber filler can be uniformly dispersed in the rubber compound directly affects the formation of the foam blank of the foamed product, and finally affects the foaming uniformity and surface appearance of the EPDM foamed product; Among the many rubber fillers, the semi-reinforcing furnace carbon black, the easy mixing tank black, and the light calcium carbonate have good dispersing properties in the rubber; the white carbon black, the clay, and the magnesium carbonate need to pay attention to the amount and dispersibility when used; EPDM foaming products manufacturers can adopt several kinds of fillers, but the filling amount should not be too large, so as to avoid the problem of excessive sponge rubber density; extruded sponge foaming recycled rubber products can use fast pressing furnace black , semi-reinforcing carbon black reinforcement, light calcium, clay filling. The strength of EPDM rubber is low. The performance of EPDM reclaimed rubber processed from waste EPDM rubber and EPDM unvulcanized rubber is almost the same as that of EPDM, but its mechanical strength is in the production process. There will be some loss in the theory. 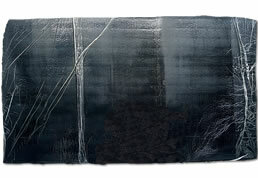 In theory, EPDM reclaimed rubber is used to produce foamed rubber products, which requires the use of reinforcing agents with significant reinforcing effect, but the research shows that the medium particles are thermally cracked carbon black, semi-reinforcing furnace black and fast-pressing carbon. 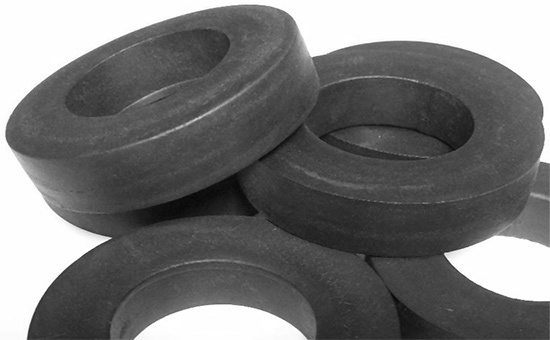 Black foaming is better, so rubber manufacturers can decide according to actual needs. For non-reinforcing fillers used in EPDM reclaimed rubber foamed products, hard clay and talc powder are most beneficial for EPDM reclaimed rubber foaming, with high expansion ratio and no cracking, light calcium and light clay. Second. When selecting a suitable rubber filler for the EPDM reclaimed rubber foaming product, it is necessary to consider not only the type of the filler but also the particle size of the rubber filler, in the type, amount, particle size and reinforcing effect of the rubber filler. Find an optimal solution to achieve a balance between foaming efficiency and other indicators; improve the overall performance of EPDM foamed products. 10The finer the rubber filler, the better?